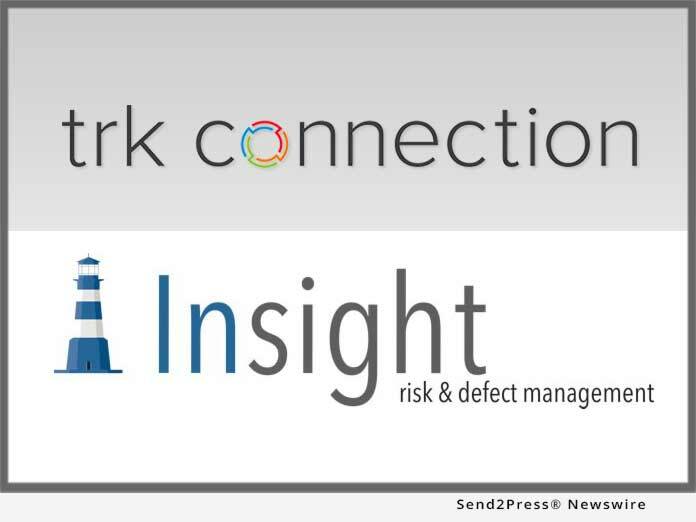 SALT LAKE CITY, Utah, Feb 25, 2019 (SEND2PRESS NEWSWIRE) -- TRK Connection (TRK), a leading provider of mortgage quality control (QC) and origination management solutions, announced that its flagship mortgage QC audit platform Insight Risk & Defect Management (RDM) is now available through the Ellie Mae Encompass Digital Lending Platform(TM) via Ellie Mae's Encompass Partner Connect APIs. TRK is the first QC audit technology provider currently integrated with Encompass(R) using these advanced and extensible APIs. The seamless integration allows lenders to utilize Insight RDM for pre-funding and post-closing QC directly through Encompass to drive quality and efficiency in the loan origination process. Insight RDM delivers industry-leading QC functionality to streamline the loan defect management and remediation process, helping mortgage lenders more efficiently track, report and trend loan defects to reduce repurchase risk and elevate loan quality. The enhanced integration also enables Insight RDM to use those data elements in conjunction with Ellie Mae's system of record to improve process flow, increase audit speed and provide additional automation in the loan file review process. Examples of this include the ability to take advantage of loan origination milestones to trigger pre-funding quality control eligibility or to systemically attach documentation to reverifications. For users that have customized Encompass to store QC and defect data within the system, TRK will provide support for custom fields lenders have created within Encompass to support existing QC workflows. "Having direct access to the Encompass Partner Connect APIs has allowed us to build an environment in which Insight RDM and Encompass work in seamless harmony to support lenders' quality control activities," said TRK Executive Vice President of Strategy Jeremy Burcham. "TRK is delighted to expand its relationship with Ellie Mae, and we look forward to continuing that expansion throughout the Ellie Mae solution ecosystem." Ellie Mae is a leading provider of innovative on-demand software solutions and services for the residential mortgage industry. Ellie Mae's Encompass digital mortgage solution provides one system of record that enables banks, credit unions and mortgage lenders to originate and fund mortgages and improve compliance, loan quality and efficiency.